You can search “how much water should I drink every day?” online and find a lot of disagreement about the ideal amount we should consume. We’ve all heard the eight glasses of water a day rule, but some people swear by as much as three litres a day. While we don’t plan on solving this argument right now, we do have some things for you to think about when making your own decision. If you’re gearing up for a celebration at Christmas time, you’ll be eating more than usual, and it’s during these times that you need to up your water intake. Drinking water helps flush toxins out of the body on a daily basis, and also hydrates you and fills you up, encouraging you to eat less. Usually, you know you’re hydrated when your urine is a light yellow, not completely clear. If it’s a darker colour then it’s time to hydrate as soon as possible! The amount of water your body requires depends on a number of factors; the climate you live in, how active you are, how you feel, how your skin looks, if you’re having digestive difficulties. These are things you need to bear in mind when deciding how much water you need. The best idea is to just drink water. Sip it through the day and you’ll definitely get enough. Also, understand that there is such a thing as too much water. Excessive amounts of water will add strain to your body, so if you find yourself constantly in the loo, chances are you’re drinking too much. You’ll know you’ve hit your optimum by the way you feel. When in doubt, take a sip! Paying attention to what you drink is as important as actually drinking. Stay healthy and stay hydrated. One tip to make your water taste delicious and even more refreshing is to add slices of lemon or orange. Many people find water tastes too bland, but by adding some lemon and orange it’ll be much more appealing, and will boost your hydration even further. Cucumbers and mint are also a great addition. 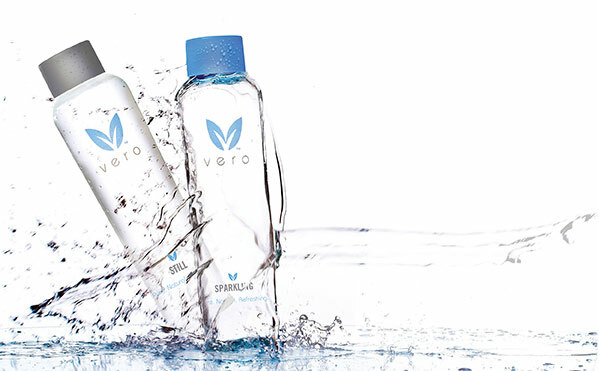 When it comes to in-house purified water, Vero Water is quickly becoming the name in clean, refreshing and cost effective commercial and personal hydration. If you’re not drinking water, your body will struggle to flush out the things it doesn’t need. The aim is to put high quality liquids in, so you can flush out the bad liquids. Your body will thank you later. Enjoy!